NEW YORK – Hello Giants fans, did you miss me? I have been taking a nice long break away from writing after winning the Championship and the emotional 2011 season. But I couldn’t help writing something about Tom Coughlin winning the ESPY for Coach of the Year, something he really deserves both as a coach and a man. I’m starting to get the itch to write again and could not think of a better way to re-introduce myself to the New York Giants nation, then with a Tom Coughlin article. It feels good to be back. Let me stop now and officially say, Congrats Coach! If you ask me, it has taken the media, the football world and even a lot of the Giants fans, way too long to warm up and recognize how good Coughlin is. A lot of the drama is caused by the morons at the major sports shows. The two Super Bowl wins in five years cannot be denied, they will win a third and be named a dynasty and you will still show no love, so let it be known then. I am very excited for this year and to see what a healthy squad can do over 16 games. This is a dangerous team when fully healthy and they just won the Super Bowl with a depleted roster. How about Jason Pierre-Paul? B-E-A-S-T! I’m going to predict he gets over 20 sacks in 2012. I think rookie RB David Wilson is a very intriguing subject and so is WR Rueben Randle. I’m looking at DT Marvin Austin, CB Prince Amukamara, WR Ramses Barden, TE Martellus Bennett, TE Travis Beckum and WR Domenik Hixon to see what they can do. A lot fans are watching, even though they may be quiet right now but we are all rooting for you guys to have huge seasons. And so is Tom Coughlin and the front office. These guys can make a huge difference in the 2012 season when healthy and clicking with their teammates. They need a shot to do that. I have always been a big fan of Coach Coughlin, I was never one to criticize him for bad games. By the way, at 65, Coughlin becomes the oldest coach to ever win the award. I have been vocal in the past about OC Gilbride and not caring for some of his play calling. I think this offense is a dynamic but steady OC away from winning two more Super Bowls. The G-Men have the talent, that is for sure, they could be a top offense for the next four to six years if utilized properly. I’m sure of two things about Coach Coughlin, one he is a football guy and two, he is a New York guy. He also looks out for the military and works with the Jay Fund charity, founded in 1996. As most of you know, even his son-in-law is a football player. Giants Pro Bowl OL Chris Snee. Snee will be included in the Giants ‘Ring of Honor’ once he finishes his career with Big Blue and forever be considered one of the best Giants lineman of all time. Without coaches approval, I doubt this marriage would have ever happened, so it’s nice to know that Coughlin is a good judge of character too. I love that the Giants owners continue to reward Coughlin on production with contract extensions, something else he deserves in my opinion. I look forward to seeing Coach on the sidelines for many years to come in the future and enjoy continued success under his watch. How do you feel about Coach Coughlin winning Coach of the Year? Please Support The Wounded Warrior Project by Clicking Here, You Are Not Forgotten!! New York QB Eli Manning Retires With 4 Super Bowl Rings? NEW YORK – I am going to ask you a very simple question, as the title reads. Can Giants QB Eli Manning finish his career with 4 Super Bowl Championships? Win 4 rings, maybe 4 Super Bowl MVP awards? In five years from now, will you remember that I wrote this article and told you Eli Manning will be in discussion for greatest NFL QB of all-time? If Giants QB Eli Manning wins 4 Super Bowl Championships, he is immediately vaulted onto the top ten NFL quarterbacks of all-time list, where he lands on that list is another question but he’s on that list. Nevermind those silly polls the NFL official website had last year that infuriated Giants fans, as Easy Eli remained cool as ice. Eli Manning is already an NFL Hall of Famer right now, today and he is in the prime of his career. I really think he can win four rings. I think the New York Giants are going to win 2 more Super Bowls by 2017. The G-Men might even win a championship at home, when New York/New Jersey hosts Super Bowl XLVIII at MetLife stadium in 2014. A Giants vs Jets Super Bowl in East Rutherford would be bigger then Times Square on New Year’s Eve. Forget about the ticket prices. I can’t even imagine what a pair of tickets to the Super Bowl is going to cost the fans as it is. If the Giants are playing the Jets, even the upper tier seats might go as high as $10,000 each in New York City. There is no doubt in my mind that this would be the highest grossing event in human history and a $300 million dollar boost to the local economy. All of this talk eventually leads to the dynasty team discussion and rightfully so, in my opinion. The time table for winning 3 Super Bowls is a decade. You have a ten year window in which to win 3 Super Bowl rings to be considered a dynasty team. The Giants have won 2 Super Bowl rings since 2007 and have until 2017 to win just one more. I believe they will win two more rings as you know. With Jerry Reese locked down at the GM position and Tom Coughlin as the leader of the team once again, the Giants are in a nice position to do some damage for a very long time in the NFC East and the NFL in general. These offseason moves have been outstanding for the most part and it’s not over yet with the draft coming up in two weeks. Look for Big Blue to have another superior draft in 2012. Do you think QB Eli Manning can retire with 4 Super Bowl rings one day? Would You Trade the Giants First Round Pick in the Draft? NEW YORK – Hello Giants Fans, I was thinking about the draft and wondering what type of scenario would be acceptable when it came to trading away the 1st round pick. I think getting a 1st round pick and 3rd round pick in 2013 might be worth it. Maybe getting a 2nd round pick this year and 1st round pick in 2013 might be worth it too. It looks like Big Blue is trading away the 5th round pick this year for that Bengals LB Rivers. I have to read up on him but have heard he’s had injury issues. They also know they have two 4th round draft picks, because of the compensation pick. Once that news becomes official about LB Rivers, we can look at the draft board again. The Giants are working on the offensive lineman and linebacker positions via free agency, just like we thought they would. Very smart move by Giants GM Jerry Reese and the front office. I love how this team is coming together already. Can the Giants strike gold late with a running back? Will the Giants draft for offense or defense with the first pick? Who will be the Giants 1st round pick? Will the G-Men trade their 1st round pick? Let me just say that I do not think GM Jerry Reese will trade away any other draft picks, if he gives up the 5th round pick for LB Rivers. I’m starting to lean towards drafting the best available player in round one. I know this sounds strange because I keep adjusting to the new moves Big Blue makes. They are locking down an offensive lineman with veteran OL Sean Locklear and linebacker Keith Rivers via free agency. That means a cornerback or wide receiver in round one would not surprise me, since they are both very athletic positions. The Giants drafting the best available player would surprise me even less. They are squared away pretty good right now and still have time to work before training camp. The team looks deceiving until you realize how much talent is returning from injury. Some very good players will be back stronger then ever and ready to play some football. The Giants truly look like they are building a dynasty in New York. What are your thoughts about having the final pick of round one? Is it worth holding onto or would you trade it away for more picks next year? 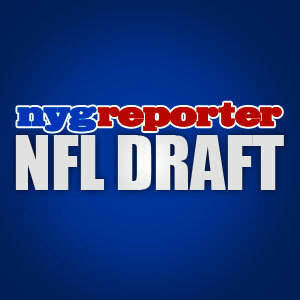 NEW YORK – The New York Giants can feel the draft creeping up on them. I cannot believe it is almost time for the 2012 NFL draft to kick off. In just about two weeks, fans will know who their first round pick will be. I have even heard some suggest the Giants trade away this years first round pick, for a first round pick next year and a second rounder this year, then work the two second round picks. I don’t know about this strategy because GM Jerry Reese usually keeps all of his draft picks. The Giants are very good at the draft and have had a tremendous draft record the past decade. The best possible example of Jerry Reese taking the best player available is CB Prince Amukamara. Nobody, including myself, thought Prince would still be on the board at the Giants pick that year but he was. There is nothing you can do in a situation like that but take the guy. So this is always a very good possibility and it will not be a surprise to you, if you take your notes and follow it LIVE on the computer and TV. You’ve alread seen the players I listed as draft possibilities in the first part of this article, Happy Easter to our Readers, Giants Mock Draft but I’d like to hear about other players you guys feel might be a help to the team. I know we have more readers out there, so let me hear your thoughts on this. The Giants should slowly begin to pull away from the media for a while. They never reveal their poker hand to the media and I like it. Here is the draft order below. Feel free to copy and paste the draft order and fill in the blanks in the comment area. What is the best way to attack the draft this year? To all of the Giants players who will not be returning to the team for the 2012 season, we wish you well with your new teams and all of the best for the future! Once a Giant, always a Giant! Check out New York Giants RB Rodney Hampton’s summer football camp at www.hampscamp.com and donate/contribute to the after school programs for kids! NEW YORK – I would like to wish you all a very Happy Easter! It’s hard to believe that we are this deep into April already, this year is flying by very fast. I’m glad I was able to hang out with family and relax today. I hope you all had a great weekend too. Can you believe it has been two months, since the Giants beat the Patriots in Super Bowl XLVI to win the Super Bowl Championship for a second time against New England. My how time flies. The 2012 NFL Draft is the next big thing coming up and I expect football fans to be foaming at the mouth in Radio City Music Hall. The war room strategies and meetings have already started and coaches are discussing the roster with GM Jerry Reese. Fans will only have to wait another 3 weeks to find out the brilliant game plan put together by the Giants A-Team. Be on the look out for my upcoming 2012 Giants Draft article. It should be a fun way to discuss the team needs and assess players for our ‘hit list’ on draft day. If you decide that you want to make your list on your own, may I suggest doing it by position. It makes for a much easier reference when you follow the draft LIVE and try to guess the rookies taken. I generally do a top five list for each position and top ten for the three positions with the most need. Example, WR, RB and OL look like three top areas of need on offense for the 2012 draft. The defense is pretty solid but could use more youth at the safety and cornerback positions in my opinion. The top three positions of need on defense are CB, S and LB. If the money could be worked out on a deal, I would suggest bringing in a veteran offensive lineman and then use the first round pick on another offensive lineman. Protect QB Eli Manning at all costs. Then straight hit the defense for back to back rounds with a cornerback and linebacker taken, followed by a surprising wide receiver pick in the fourth. These picks are based solely on my opinion and will probably change the closer we get to the draft itself. The Giants needs change all of the time, so be sure to keep an eye on their transactions. What are your top three areas of need for the Giants this draft? 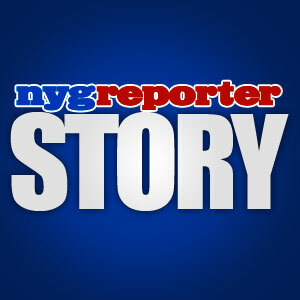 RD – nygreporter.com – Happy Easter! 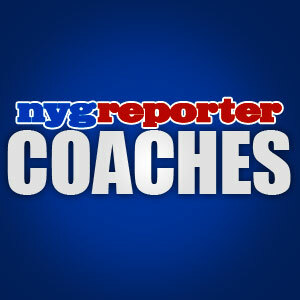 Check out New York Giants Team Captain, Justin Tuck’s camp info here Justin Tuck ProCamps. NEW YORK – Hello Giants fans, it’s been a while since the last article. I have been basking in the Super Bowl XLVI victory a bit more then usual. It’s fun talking to friends you’ve known your entire life when your team is one Super Bowl win away from being a dynasty. If the Giants win another Super Bowl within the next 3 years, they are a dynasty. To be even more specific, the Giants have until 2017 to win another one, which would give them 3 Super Bowl rings in a single decade. I honestly believe the Giants and QB Eli Manning are going to do it. Manning is elite, Manning is a Pro Bowl QB, 2x Super Bowl MVP, 2x Super Bowl Champion and has an Iron Man streak for most consecutive games without missing a start going. The guy is simply a winner and a family man. It’s hard not to like him and root for him. The team is going to have a lot of players returning from injury this year. Some of the more important names to keep an eye on are CB Terrell Thomas, OL William Beatty, WR Domenik Hixon, TE Travis Beckum, TE Jake Ballard, TE Martellus Bennett, RB Ahmad Bradshaw, LB Clint Sintim, DT Marvin Austin, RB Da’Rel Scott and S Chad Jones. All of these players had injuries last year or have had a major career move. The G-Men need to avoid the rash of injuries that has plagued them since the 2009 season. If they can avoid loading up the injured reserve list and play at full strength one season, they have a nice chance of making it back to the big game and winning it again. Big Blue has proven how deep the team really is. The 2012 NFL Draft is coming up in a few weeks and there seems to be a mix of areas that fans think are important. I don’t think the Giants will take a RB in the first round but you never know. A linebacker, offensive lineman or tight end could be on the top of the list. I would not be surprised to see them take another defensive back in round one since DC Perry Fewell is a DB guru. I like the extra pick the Giants will get in the fourth round as a compensation pick. Of course, if the best available player on the board is too good to ignore, they will draft him, no matter what the position. Even if it is another defensive end you say? Yes, I do. Nothing surprises me anymore with the Giants drafts. I really want to see the Giants invest in protecting QB Eli Manning this year. I want to see a few new big guys on the roster to contribute to the rotation. I’m convinced this is the year to invest heavily on offensive linemen in the draft and free agency. Surely it’s on both GM Jerry Reese and HC Tom Coughlin’s mind. What do you think about the Giants roster moves thus far? 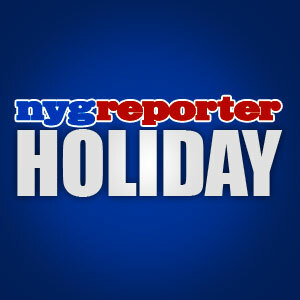 RD – nygreporter.com – Happy Easter Weekend! Please Support New York Giants Legend, George Martin’s “A Journey for 9/11” Charity. Never Forget! NEW YORK – Hello Giants fans, it’s a sad day because Big Blue has parted ways with WR Mario Manningham (2 year deal with 49ers) and CB Aaron Ross (3 year deal with Jaguars). I wanted to wait before writing this article to see if anyone else might be released or traded. I think this is a horrible situation all the way around. Manningham has become one of my favorite players and a guy that all Giants fans are rooting for to do well in his career. I’m concerned for Mario playing in San Francisco because of the system and fan base there. Once a Giant, always a Giant, just like I told him on twitter. I know Mario would have preferred to stay in New York and the fans love him for that even more. Mario was drafted by the Giants in 2008. This feels exactly like it did last year, when the team lost a bunch of guys and some really big names (Smith, Boss, Seubert, O’Hara, etc). I’m not sure if I will ever get comfortable with this part of the game but I will have to prepare for it. The other big loss was CB Aaron Ross, who has played his entire career with the Giants since they drafted him in 2007. Ross stepped up his game last year and was a big part of their success. The Giants are clearly looking at first round draft pick CB Prince Amukamara to step in and back up CB Terrell Thomas and CB Corey Webster. Other CB’s signed include CB Michael Coe and CB Justin Tryon in the backup mix. I believe the Giants are fine at the CB position this year but if the past three years have taught Giants fans anything, it is to prepare for injuries. So adding depth to key positions is crucial to the game plan. They also heavily addressed the tight end position, which was considered an area of need. I’m sure that GM Jerry Reese (needs to be NFL GM of the Year) isn’t finished tinkering with the squad but I do believe the majority of out-of-house players have been locked down already. I expect them to focus on in-house guys from now until the draft with maybe one more outside signing. Remember, they have a lot of players coming back from injury. Head Coach Tom Coughlin must be very excited for the new season and the upcoming draft in April. There is no quit in this man and winning becomes addictive after a while. The Giants can absolutely win another ring, in order to complete the “Dynasty” set of three rings for immortal status in the NFL. This group of guys can certainly do it. Still, it is bittersweet to have to say goodbye to class acts like Mario Manningham and Aaron Ross. On behalf of the nygreporter, I would like to say thank you and best wishes to both of these gentlemen. What are your thoughts about the G-Men losing Manningham and Ross? You are currently browsing the archives for the NYG Draft category. 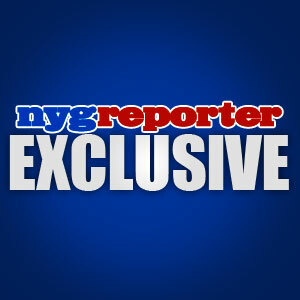 This site was born on 03/06/10 in the state of New York. 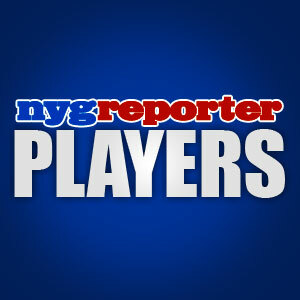 nygreporter is a home for New York Giants fans and writers. We are a family friendly website and keep the comments clean. Remember that kids read this stuff too. This is a place where football fans can come and go as they please, without any headaches. We are a destination for NFL fans who want real analysis and original opinion articles about the New York Giants. The idea is to continue publishing solid work and to build on the existing good reputation we have within the Giants community. Ultimately, leading to a full time paid job writing or partnership of this website with someone who can see the light and see the social media value of working with values. THE 2011 NFL LOCKOUT IS OVER AS OF 7/25/11. The lockout lasted (136 days). **A judge ordered the end of the NFL lockout for 4 days on 4/25/11 but I do not subtract those 4 days from the total.